The final quarter of 2014 saw the first year-over-year decline in global shipments of tablet computers since 2010, according to IDC. These findings confirm fears that the popularity of large-format smartphones may prove to be the tablet market’s biggest challenge yet. The dip in tablet sales can be tied to the devices’ inherent reliability and longevity. Tablets were expected to follow the same product life cycle as smartphone - with users upgrading them every 18 to 24 months - but it turns out that their life spans more closely parallel those of laptops, or even TVs. Users don’t have much of a motivation to replace their current tablet, according to Burden. “It still does what they need it to do, and newer models are not going to deliver a markedly better experience for their cost,” he said. However, tablets — especially those used for business software — are a different case, King explained. “I think it can be problematic for some vendors if they’re not selling new tablets to replace old ones quite as quickly as they might like, but it’s really a testament to the value of the tablet to the end user and the business purchaser,” he said. Devices that don’t break or wear down in less than two years? That sounds like a great value proposition indeed. But in a market with plateauing and even declining sales, tablet manufacturers need to work harder than ever to woo consumers and stand out from the competition. “The other main reason for the decline is that there is little innovation still taking place in the tablet market,” Burden said. So how can tablet creators continue to remain relevant and add value to their customers? Come up with a design that turns heads and creates a buzz. The Dell Venue 8 7840—the thinnest tablet on the market (6mm)—not only caught the attention of the tech media with its sleek design but also earned a 2015 Innovation Award from the Consumer Electronics Association, largely due to its quad-core Intel Atom CPU, 8.4-inch high-res OLED display, and innovative Intel RealSense Snapshot Depth Camera. Dell’s Venue 10 and Venue 8 7000 tablets take productivity to the next level with Android Lollipop and Android for Work. The Android for Work platform lets your company’s mobile workforce keep their business and personal info together securely. They can use their tablets for work as well as play, without worrying about the security of their business data, which can be encrypted and inaccessible to personal apps. 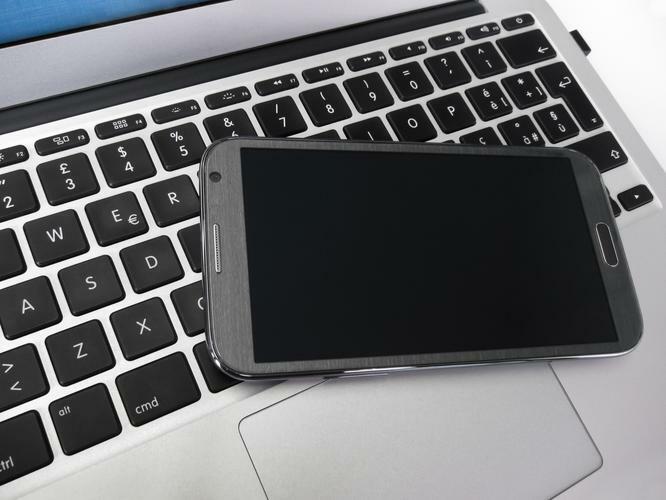 Tablets that offer this level of security and convenience are the ideal choice for companies and encourage employees to use their own devices for work. Dell Mobile Management allows organizations to manage access to smartphones and tablets from any device, and enables users to enroll their devices for accessing corporate data, while security policies are automatically enforced. Dell Mobile Workspace creates a user-friendly environment that lets users access enterprise data and apps, while also enabling IT to remotely enforce security policies or encrypt sensitive data. Tablets need to offer more features, better and bigger displays, fully functional keyboards, and longer battery life than smartphones to remain a compelling alternative. “I’d say that for [tablet] productivity you do want a keyboard—especially for enterprise users, who need a way to engage in more extensive tasks, or type faster or more accurately,” said Roger L. Kay, founder and president of Endpoint Technologies Associates. Innovation is required to cope with the constraints that accompany mobile use, and that’s why Dell offers a Tablet Keyboard with an embedded rechargeable battery to further prolong the already impressive 9-hour battery life of the Dell Venue 11 Pro. Users prefer the same level of access and convenience—and even similar interfaces—for apps spanning desktops, laptops, tablets and smartphones. Dell has based its latest tablet models on the two most popular platforms, Android and Windows, and this summer’s debut of Windows 10 promises to create the most seamless user experience yet. Designed to offer an integrated experience across a variety of devices and form factors, Windows 10 will enable tablet users to switch between their desktop apps with ease, further distinguishing tablets from smartphones and even giving the laptop market a run for its money. While it seems inevitable that tablets with smaller screen sizes will continue to be threatened by 6-inch-and-larger smartphones, tablets that offer the range of benefits described above will continue to offer levels of functionality and reliability that smartphones won’t soon replace in the office.